Afghan President Ashraf Ghani has issued an order for the execution of 11 death row jihadists from the Taliban and its ally, the al-Qaeda-linked Haqqani Network, following the deadly attack in Kabul. In response, the Afghan Taliban has threatened “revenge” against the U.S.-backed Ghani government, warning that Kabul would be responsible for dire consequences, reports Pakistan’s Daily Time. “The Kabul administration is powerless and it takes decisions on the instructions by foreign masters, so foreign countries will be responsible if the foreign hostage[s] in the custody of the Islamic Emirate are harmed in revenge,” declared the Taliban in its warning issued after the Ghani administration announced the looming terrorist executions. Currently, the Taliban is holding hostage an American-Canadian family, including two young boys born in captivity, as well as American citizen Kevin King and Australian national Timothy Weeks, both professors from the American University of Afghanistan in Kabul. The Haqqani Network, affiliated with both al-Qaeda and its ally, the Taliban, has been linked to the American-Canadian family’s kidnapping and ongoing detention. According to the Pentagon, the Haqqani Network, a notorious hostage-taking terrorist group, poses the “primary threat” to the U.S. military and its allies in Afghanistan. No specific terrorist group has officially claimed responsibility for the Kabul massacre this week that left at least 90 people dead and more than 400 others wounded, including 11 Americans, in the first days of the Muslim holy month of Ramadan. The Taliban has condemned the attack and denied responsibility. Meanwhile, Afghanistan’s intelligence agency, the National Directorate of Security (NDS), has ruled out the involvement of the Islamic State (ISIS/ISIL) branch in the region, insisting that the Haqqani Network is behind the attack and pointing the finger at neighboring Pakistan, considered a willing sanctuary for various jihadist groups. “The Afghan intelligence said late Wednesday that credible intelligence information confirms the attack was carried out by the network on direct instructions and with the support of the Pakistani military intelligence, Inter Services Intelligence,” reports Afghanistan’s Khaama Press (KP). Citing unnamed sources, KP notes that President Ghani made the decision to execute the 11 terrorists after the carnage in Kabul. In warning the Afghan government against killing the 11 jihadists, the Taliban dismissed as false the NDS claim that its ally, the Haqqani Network, is responsible for the suicide blast in Kabul, notes the Daily Time. Only hours after the deadly blast in Kabul, many Afghans demanded the hanging of Anas Haqqani, one of the brothers of Siraj Haqqani, the leader of the terrorist group named after them. 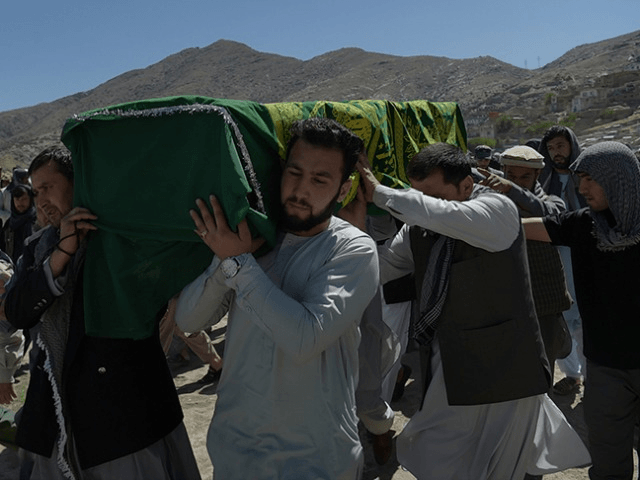 The decision by the Ghani administration to hang a group of six Taliban terrorists in May 2016 fueled a series of deadly attacks on judges and other court officials, the Pakistan’s Daily Times points out.